If a bird in the hand is worth two in the bush, how much is a bird in a bush worth? In my garden, the answer’s 11. Sometime between Christmas and New Year, one of my two featherball Silkie hens (nicknamed Sage and Onion) went broody and made a nest for herself under, appropriately, the silk tree (Albizia julibrissin) at the far end of our lawn. She’s now sitting on 11 eggs. At first I thought Onion was just a bit dopey. She’d never even met a rooster, so there was no hope that any of the eggs would hatch. Or so I thought. 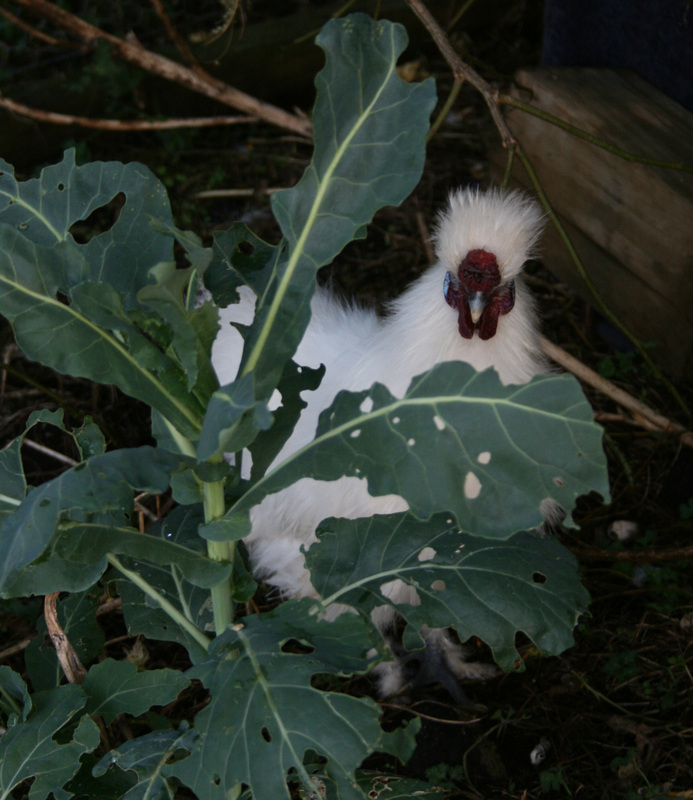 But Sage (pictured) has now started crowing. A lot. I suspect he/she has a lot to crow about, having deviously avoided detection by pretending to be a girl for the past six months. But the wattle and comb are a dead giveaway now. I couldn’t be a prouder parent. I love the idea of a whole flock of fluffy-headed Silkies running around on my wedding day. But what an unexpected dilemma it has caused. The far corner of my previously perfect lawn is starting to die off. Why? Because we’ve had to shift the irrigation sprinkler nozzle to stop it spraying the blimmin’ broody chicken.